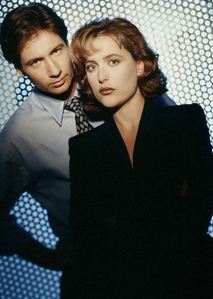 If u could write/re-write and X-Files OF YOUR OWN would u have Mulder and Scully get together? If it were me, i would most DEFFINATELY have them get together! But John Doggett wouldnt be in my X-Files. and neither would Director Kursh. Not that he matters anyways. Yeup! Theres no contest! Mulder and Scully rock the X-Files! Hense my screne name: X-MS. X-MulderScully. YES!!!!!!!!!!!!!!!!!!!!!!!! MULDER AND SCULLY BELONG TOGETHER!!!!!!!!!!!!!!!!!!! of course there the perfect couple! I would not have Mulder/Scully get together in a physical sense because the mystery invites the attention.